The quickest way to list a single product on eBay is the “List on eBay” link which shows up with products that have not been listed or prepared yet. Just go to your “Products” page and move your mouse to the magnifier icon you’ll find in the right column of each product. 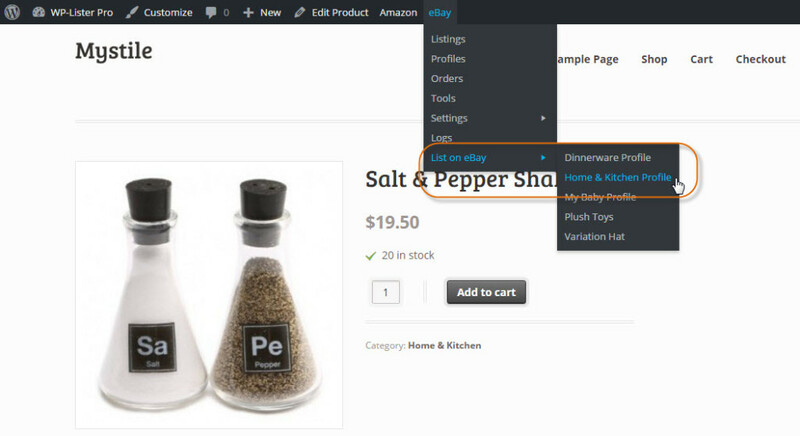 In case you sell variety of products under different categories, you can prepare new eBay listing from all products within a selected category as well. 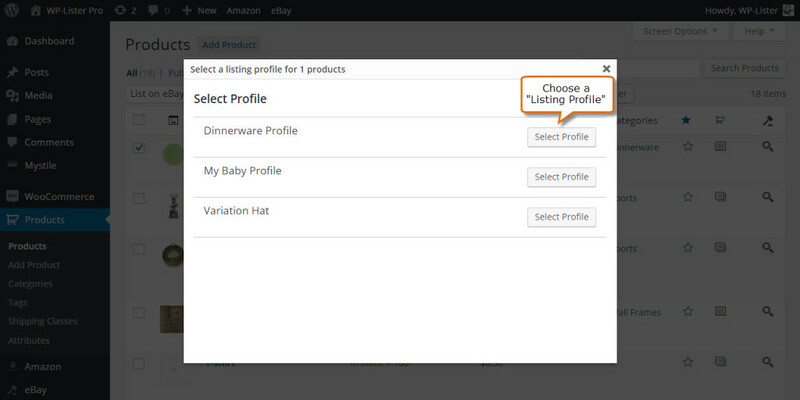 Just go to the Products Page, look for “Select category” at the header menu, select the product category you want to list on eBay then click the “Filter” button. 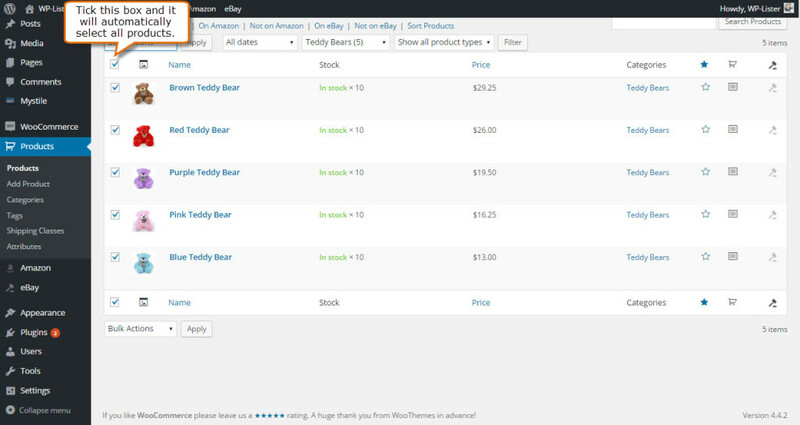 Tick the topmost checkbox as shown below – this will automatically select all the visible products at once. 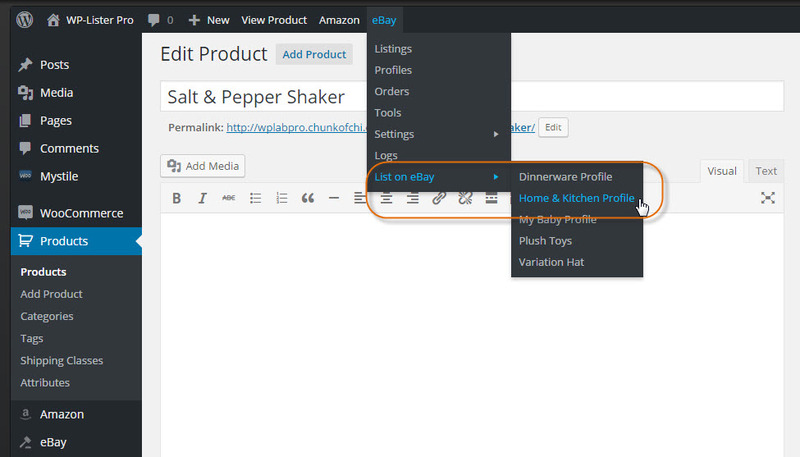 If you don’t see all products from that category yet, you might have to adjust the number of products per page, which can be done by clicking on “Screen Options” on the top right. Once you have prepared your listings you should use the button “Verify all prepared items” on the Listings page. 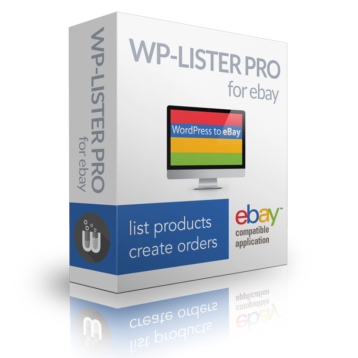 This step is optional, but it’s highly recommended as you will be able to spot any problems that eBay might find with your listings before actually listing them. You will see green checkmarks next to each verified item that has been verified successfully and these items will change their status from prepared to verified. Any items with problems will have error messages or warnings shown in the verification window – and if there are errors, they will stay prepared which indicates that these can not be published on eBay without making some changes. Apart from verifying a listing with eBay to confirm there are no technical issues preventing you from listing the item, you should also check the listing description visually by using the Preview feature. Click on the “Preview” link you can find below each product title to see exactly how your listing will look on eBay once it will be published (or revised). 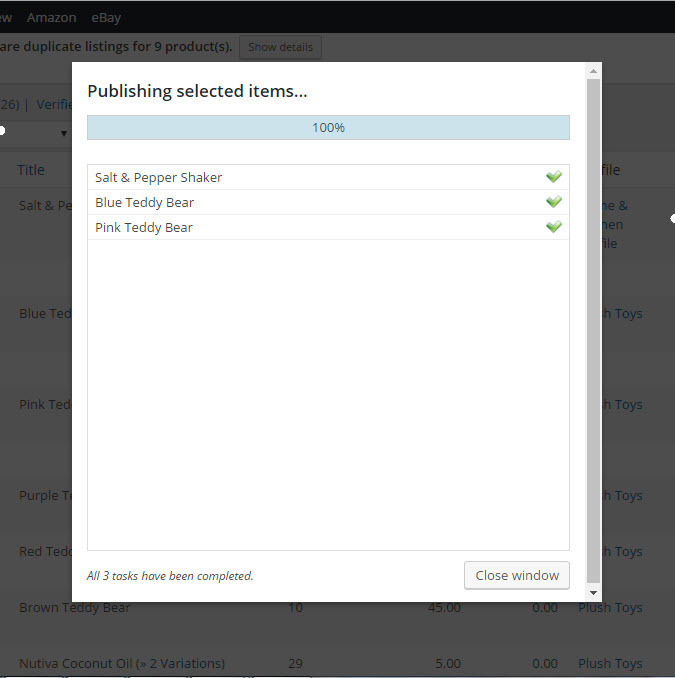 After you clicked “Publish to eBay”, you will see a progress window to inform you of the current status and the remaining time. Close that progress window when the process has been completed. The listings page will reload automatically you will see the that your listings have changed their status to Published – and there has been an eBay ID assigned to them. Each published item also has a new “View on eBay” link next to the listing title which will open the item on eBay in a new browser tab. 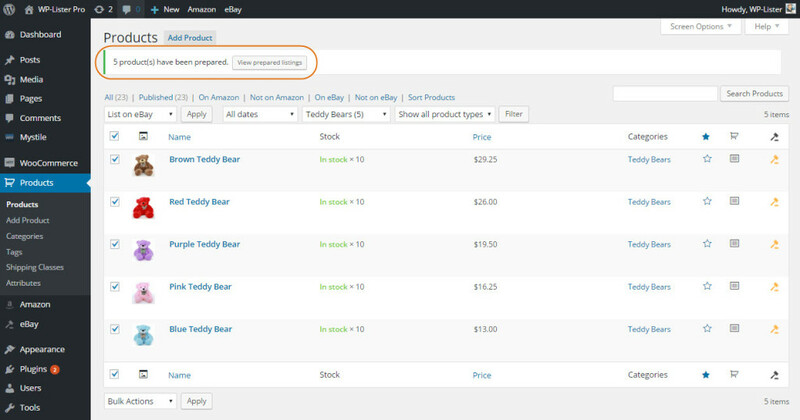 You will also notice a green check mark icon on the WooCommerce products page, indicating that this product is currently listed on eBay. You can click on the green check mark icon as well to open the item on eBay in a new tab. Congratulations! 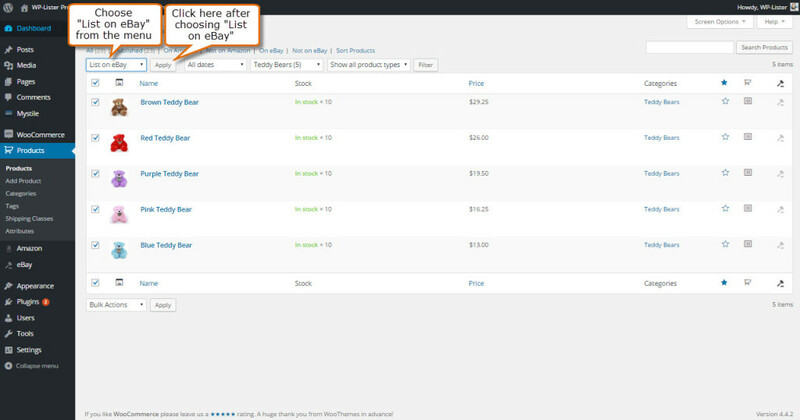 You’ve now listed your WooCommerce products on eBay.